The European-based company, Teleperformance has reached its 20 years milestone of doing business in the country. 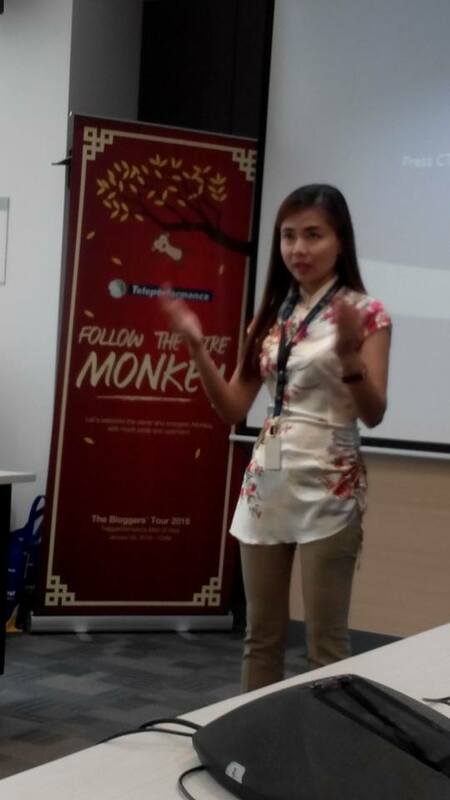 Teleperformance invited media to celebrate the Year of the Fire Monkey Chinese festivities at Teleperformance - SM Mall of Asia in advance. 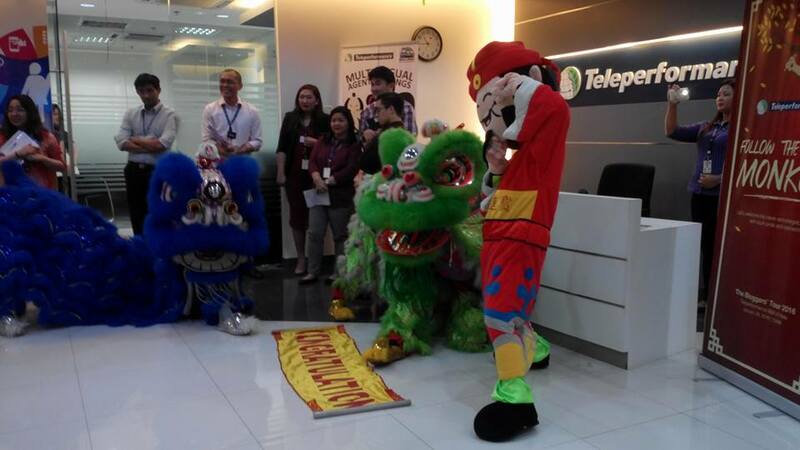 The festivities started with a Lion Dance dance. It was vivid and entertaining. It was even comical as the performers mimicked a lion's behavior of shaking its body and licking its fur. The green and blue lions wind through the crowd to the sounds of drums. The Lion Dance is often seen in festive celebrations for good luck, as lions are believed to be auspicious animals. 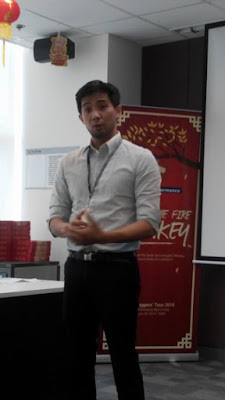 The 5 essential elements like cosmos, metal, earth, fire and air are noticeable on tbe wall as it connotes Teleperformance values such Professionalism, Respect, Integrity, Innovation and Commitment. By engaging the hearts, minds and hands of its people, Teleperformance creates an environment of trust which gives it competitive advantage. With this, there is a high number of return customers and a high total number of the new customers. We were given firsthand experience of their actual training facilities and got a feel on how they are trained on how to handle various call types, solve problem, relationship care, analyze data and serve customers. Teleperformance serves the global market with world class training and facilities. Teleperformance extends the same customer experience to their people that they expect from them for our Clients and their customers. 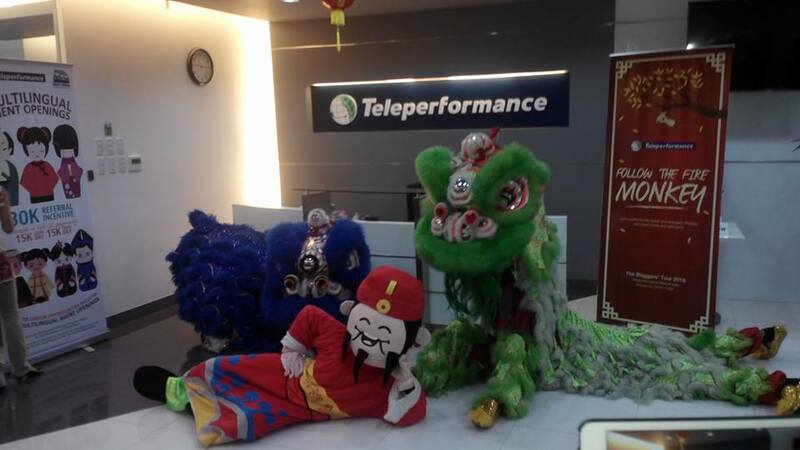 They believe that motivated people drive innovation allows Teleperformance to retain its leadership position. TP employ's 42 000 people in the country. With 26,500 workstations in Manila, Bacolod, Cebu, Davao and Baguio. The company receives award on AON Hewitt certification as 2014 Best Employer of the Year in the Philippines. That will add to company milestone and stability since its first opening last 1996. The company brand is known to be one of the leaders when it comes to BPO and Call Center Industry around the globe. Its clients mostly were on the fortune 500 company list. They reported 3.7$ revenue last 2014 HQ in France that operates 135k workstations with 180k employee, 274 contact center in 62 countries serving more than 160 markets. 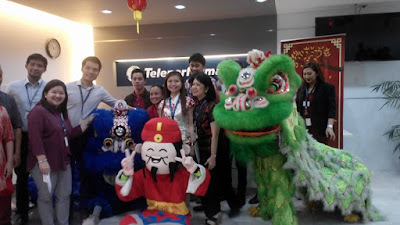 Teleperformance, the worldwide leader in outsourced multichannel customer experience management, serves companies around the world with customer care, technical support, customer acquisition and debt collection programs. In 2014, it reported consolidated revenue of €2.8 billion ($3.7 billion, based on €1 = $1.33). The Teleperformance Group operates 135,000 computerized workstations, with close to 182,000 employees across 274 contact centers in 62 countries and serving more than 160 markets. It manages programs in 75 languages and dialects on behalf of major international companies operating in a wide variety of industries. In 2012 up to 2015, Teleperformance received the Frost and Sullivan Asia Pacific Contact Center Outsourcing Service Provider of the Year Award for its significant performance in revenue management, market share, capabilities, and overall contribution to the contact center industry. In addition, Teleperformance received the AON Hewitt certification as 2014 Best Employer in the Philippines.